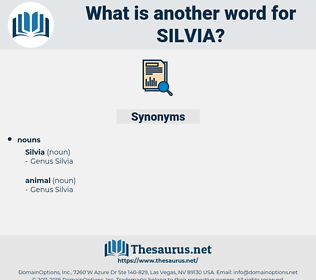 What is another word for silvia? The Silvia of the story, Celia, falls in love instead with the disguised Felismena, and when rejected kills herself. 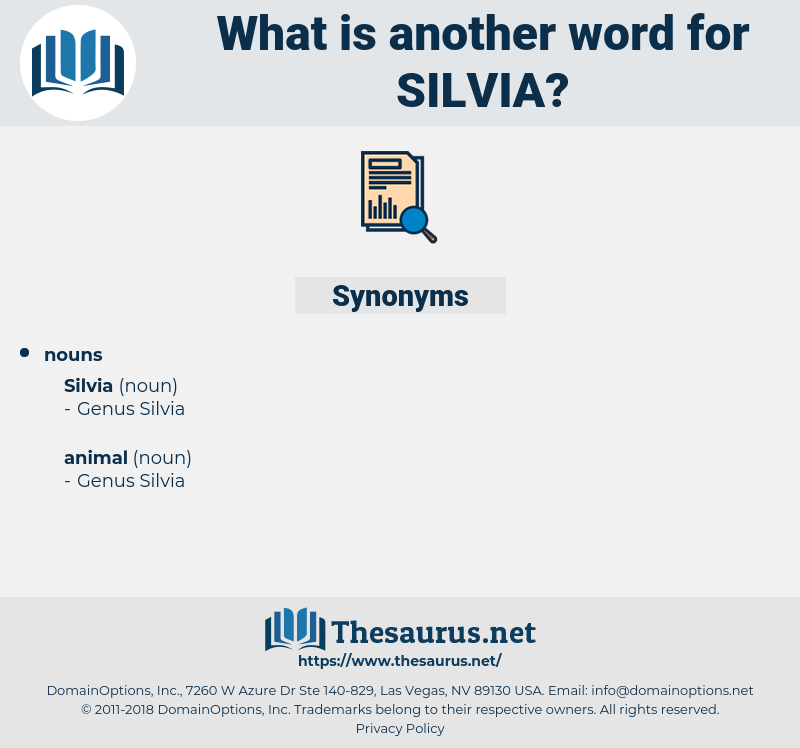 333 of S. Silvia, i.
sexual love, sclaff, sea wolf, shlep, school phobia, soil pipe, slip by, schoolboy, shelf, sloppy, slippy, sea scallop, scalp, selva, slave, seal off, salpa, silva, slub, sleeve, slip off, slip-up, skylab, sulpha, shelvy, slipway, scollop, ski slope, self, slaphappy, slab, slow up, Sylvia, slavey, solvay, syllabify, solve, sulfa, slop, slip, scale up, schlep, slap, swell up, slob, sleep, slip away, sick leave, salvia, sylva, sell off, salvo, selloff, sleepy, swallow up, slope, social phobia, shelfy, sell up, sylph, sloop, scallop, syllabub, saliva, salve, salp, sleep off, scale leaf, slap-up, solfa, slav, sillabub, slip up, shelve.